In a large bowl, combine the rhubarb, pineapple, sugar, tapioca, lemon juice and lemon peel. Let stand for 15 minutes. Line a 9-in. 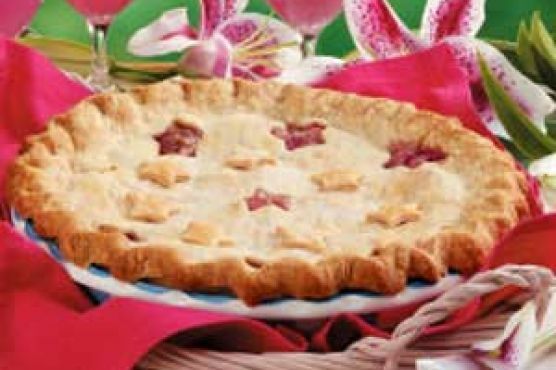 pie plate with bottom pastry. Roll out remaining pastry to fit top of pie; cut slits or make decorative cutouts in pastry. Place over filling; trim, seal and flute edges. Bake at 350° for 45-50 minutes or until crust is golden brown and filling is bubbly. Cool on a wire rack. Refrigerate leftovers.